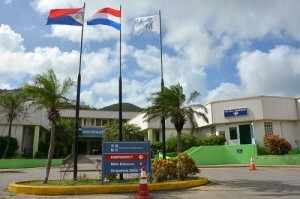 PHILIPSBURG - Public Health Minister Emil Lee of St. Maarten is exploring more options to finance the construction of St. Maarten’s new general hospital. Lee told reporters at the Council of Ministers press briefing on Wednesday that he had travelled to Curaçao and had held talks there with a number of potential financiers for the project. Describing the discussions as “going very well,” Lee said some pension funds in Curaçao are interested in investing in the hospital project in St. Maarten and he is keeping his fingers crossed. He expressed hope that soon he will have confirmation that funding for the new hospital is secured, to be able to move forward. He said since Hurricane Irma on Wednesday, September 6, last year, Government has been quietly and diligent working with the Netherlands for financing as well. Irma’s intensity has resulted in changes being made to the original design for the hospital, which will now be a concrete structure able to withstand strong hurricanes. The changes will have financial consequences. He said the construction period for the new hospital is estimated to last a couple of years and changing the structure would add to the timeline. Therefore, the longer it takes to get the project off the ground, the more hurricane seasons St Maarten will have to experience before the hospital is complete. “For me, it can’t happen soon enough,” Lee said, noting that all indications are that there will be support for the new hospital with a reinforced concrete structure.